In the digital world of today, the old-fashioned mail service continues to be neccessary for many, but its main priority is not longer letters or bills but to deliver packages of all sizes. The other day I went to pick something up for a relative in a private courier service and the line-up was pretty big. That made me wonder: What happened to our public mail service, Ipostel? It’s not just alive, but will be now relaunched… as part of a new Chavernment mission. Before I continue, let me share a brief experience I had with Ipostel: When I traveled overseas years ago, I sent some postcards to family and friends. Some of those postcards arrived to their destinations months after I sent them. Months after I returned home. Some didn’t make it at all in the end. Who knows where they ended up? 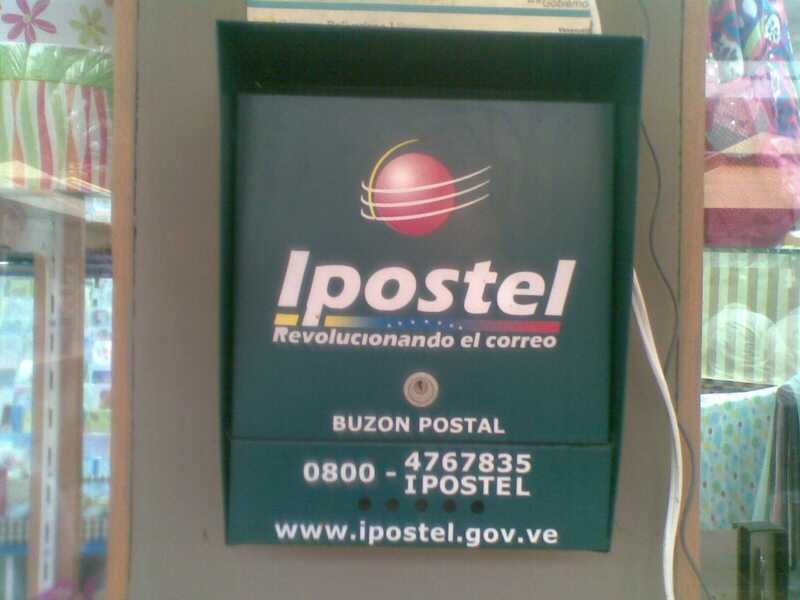 As its name says, the Postal & Telegraph Institute is the Venezuelan postal authority in charge of regulating all mail services but it also provides services of its own, being part of the mail history in our country. They still do telegrams though, even if the rest of the world is leaving them behind. Maybe our hipsters are using them. With the technological advances and the competition of private companies, is there some room for Ipostel? Yes. But there are some problems that must be solved first. One of them is something common in the public administration in Venezuela: Owing workers big time. Ipostel’s collective bargaining agreement (CBA) has been expired for almost 20 years and employees have made their unconformity heard. By April of this year, no renovation was achieved, just like other 300 CBAs in the public sector. Ipostel has admitted that its infrastructure needs renovation and it requires a better vehicle fleet. But the postal service has also deliberately shifted its role to rather serve the government than the citizens: Helping with the missions, making alliances with other public agencies, even doing its part in supporting the “fatherland’s candidate”. One thing they haven’t stop is keeping an eye on the competition, with a little help of its friends. Months ago, JC wrote a post about if public utilities could be considered something “strategic” to a country. I can tell you right now that Ipostel doesn’t fit that standard. What to do with it then? Letting it go is the most obvious idea. The regulatory role can be passed to a Ministry and the rest can be left to companies already in the market. The other option is to basically reboot it: Strip it of the regulatory role and make it more efficient, focusing in some particular services and dropping the rest. From there, the company can stregenthen its own capacities and give a better service to customers. The key is that Ipostel can’t stay just as it is. Postal services which waited too much to adapt are now struggling to survive. One example: The United States Postal Service.